The city of Berkeley contains of a variety of neighborhoods with diverse character. There is Telegraph Avenue which features Amoeba Music, as well as the fourth street shopping district, and the Elmwood district with elegant examples of Julia Morgan architecture, and many others. The Goumet Ghetto contains many excellent restaurants ranging from the communist Cheese Board Collective where a slice is very nice to the world famous Chez Panisse. 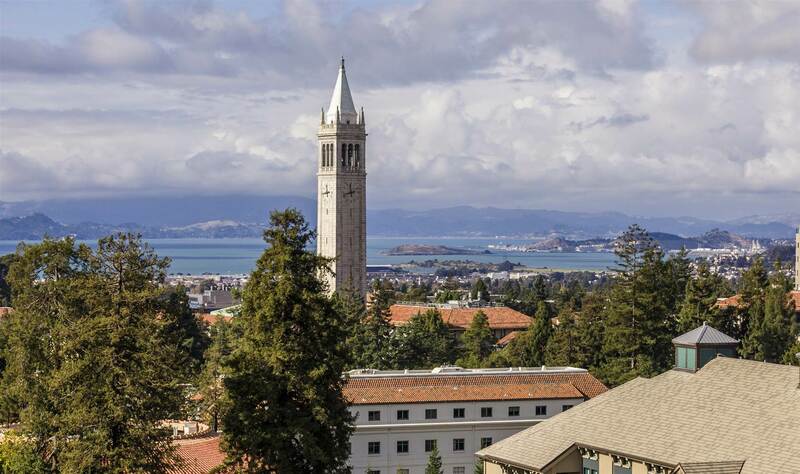 The city also hosts the University of California at Berkeley. The surrounding "Bay Area" features numerous attractions. San Francisco is twenty minutes away and attracts numerous visitors to see its many beautiful sights and cool activities. Also, nearby is Marin County, which has scenic mountains, beaches, several national monuments including Muir Woods with its lovely redwoods and its Frank Loyd Wright Civic Center. Napa and Sonoma are an hour away from Berkeley and has numerous wineries, the new museum for food Copia, and even geysers! The weather in October is usually sunny and is in the sixties and seventies, though temperatures tend to drop quickly once the sun makes its exit. Please see the following sites for more information. Doubletree Hotel at the Berkeley Marina. The Berkeley Marina features the lovely Ceasar Chavez park, the "oh so very Berkeley" Adventure playground, and Cal Sailing which has an open house October 23, during which you could take a brief sail on the bay. The San Fransciso Bay Trial pass through for runners and walkers as well. The are also beaches which while not pristine have their own charms. Finally, the hotel features free parking so renting a car is encouraged especially since the Bay Area is so rich in sights. AC Transit is the local bus company. It has a trip planner trip planner. Of course, Bart is available for going to San Francisco and other locatiosn. There is a taxi stand there, or you can use the bus , and you might be able to use a hotel shuttle to get there.